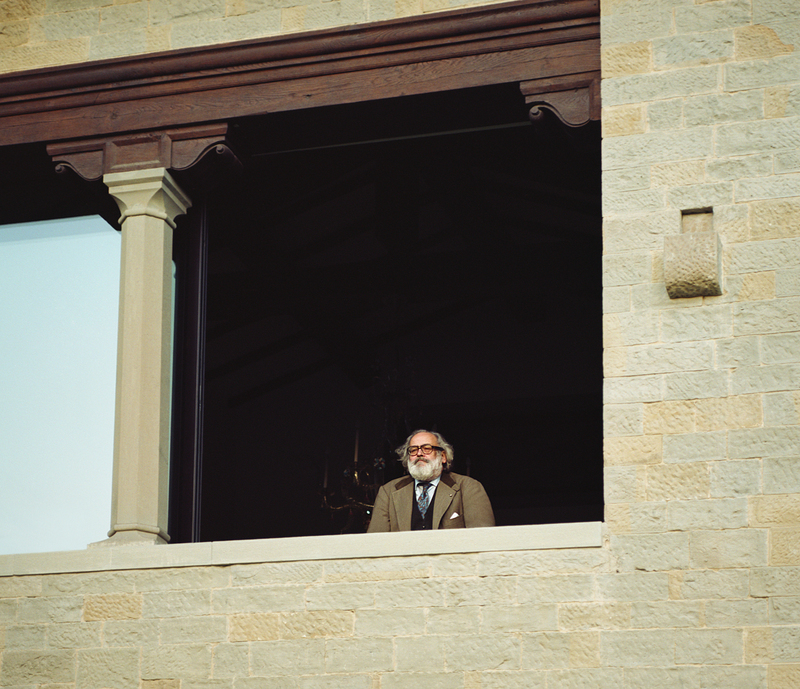 Stefano Ricci at his country estate in Poggio ai Segugi. 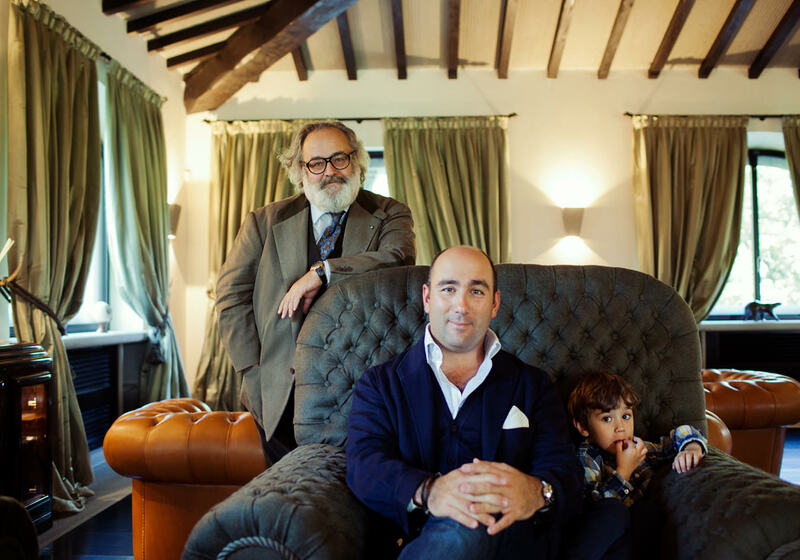 The Ricci family: (from left) Stefano, Filippo (creative director of the brand), and Stefano’s grandson. 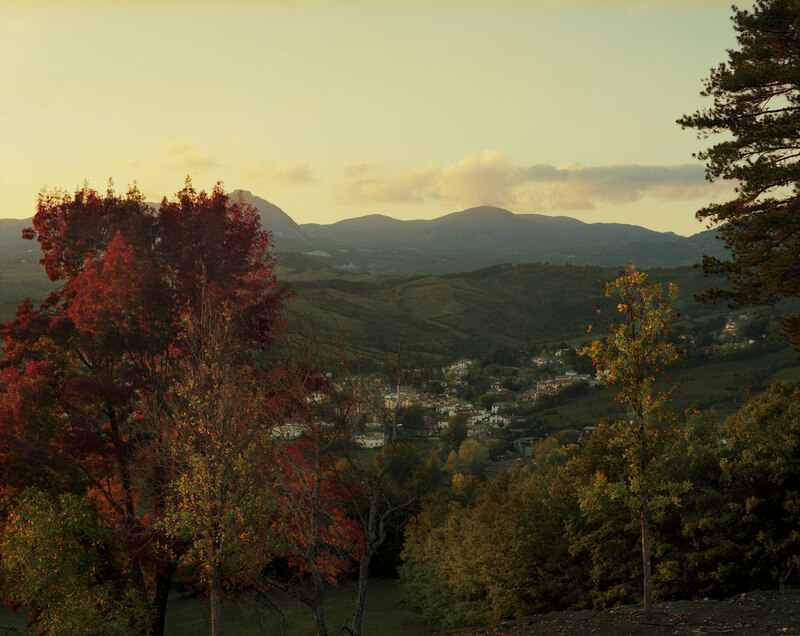 The estate is located in the Tuscan hills of Mugello, Italy. 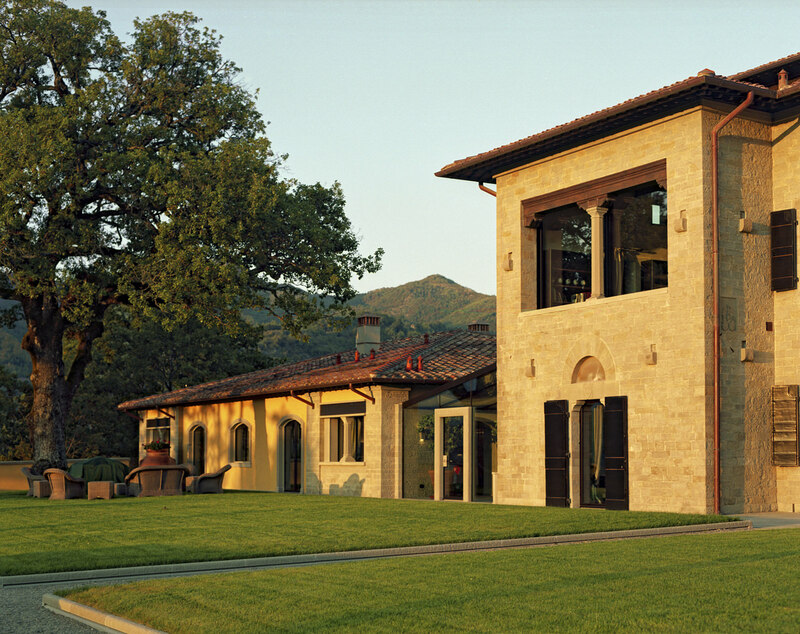 It’s hours after the first hunt of the season, and Stefano Ricci is seated at the end of a grand farmhouse table on his sprawling country estate in Tuscany, a congenial patriarch presiding over the dozens of family members and well-heeled friends that have joined him for this momentous occasion. It feels rather like a modern Italian version of Downton Abbey, but anyone who’s spent time with Ricci or is familiar with the Stefano Ricci menswear brand knows this is simply because, for the Riccis, nothing is done by halves. Lunch is a celebration of the 700 pheasants hunted, whose meat is later donated (to the Misericordia di Firenze) for distribution to the poor. From the bespoke case that houses individual servings of grappa, each engraved with the logo of Ricci’s country estate, Poggio ai Segugi, to the matching hunter-green Range Rovers parked outside, every last detail has been carefully considered. Founded in 1972 as a tie company, Stefano Ricci’s creator has spent the past 44 years building the brand into a full high-end lifestyle offering. Today, there are 12 Stefano Ricci boutiques in China, and another 50 locations around the world, in places such as Moscow, Beverly Hills, New York, and Milan. Russia and the Middle East are key markets for the brand, and this fall it will open stores in London’s tony Mayfair and Vancouver’s “luxury zone”. Miami’s Design District will follow in early 2017. The Stefano Ricci brand is somewhat of a niche one, appreciated and loved by those who know it—which is exactly how its proprietor likes things. Ricci never name-drops the celebrities who wear his clothes (they include Robert De Niro, Tom Cruise, and Andrea Bocelli), but he does take pride in his relationships with people like Nelson Mandela and Deng Xiaoping. “I’ve had the opportunity to meet incredible people,” he says. “He was a close friend for many years,” he continues, pointing at a photo of him with Mandela before recounting how he used to send Deng videotapes of Italian soccer matches after learning about the Chinese leader’s father’s love of the sport. 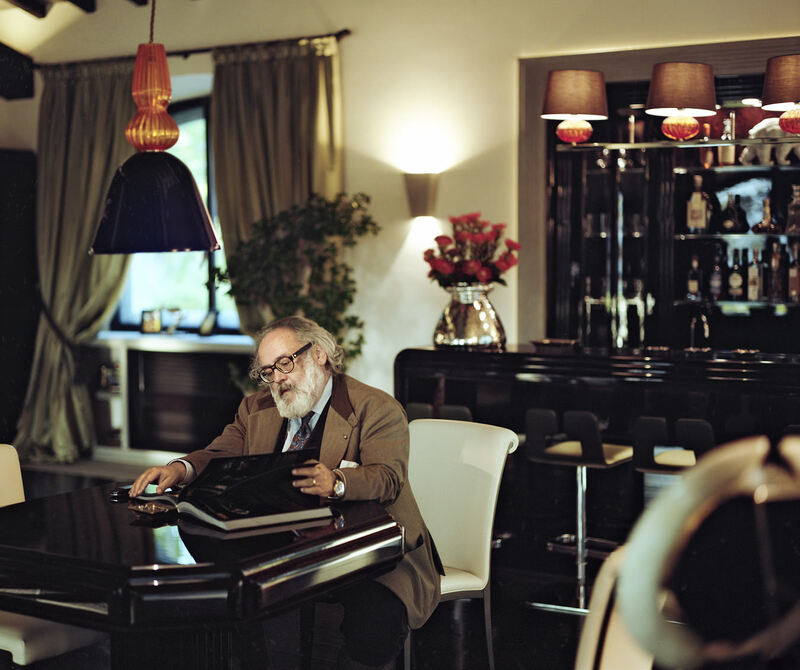 And from his estate in the Tuscan countryside to his office and silk factory in Florence, it’s clear that this is what defines Stefano Ricci: pure Italian heart and soul.